So you're finally tired enough of going to the store over and over paying for eggs that you're not even sure are up to the quality you're paying for, and now you're in search of the best egg laying chickens to get the job done for you. Well my new feather loving friend, you've come to the perfect place to learn such things! ​We're going to go over the best chicks to get the most eggs with as little maintenance as possible. 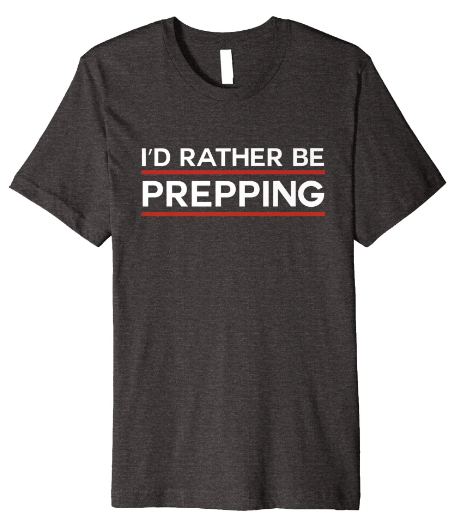 But you have to do your part and look at the options we show you and see if they fit into your means for what's actually possible and not just what you would like to have. What To Consider When Raising The Chickens? If you truly are starting this operation in your backyard then you need to consult your cities limitations, if there are any, on what sort of standards they have. Some cities might not let you have more than a few hens, and some areas won't let you have roosters at all. Which would make the whole egg laying thing a little difficult. If this is your first time raising chickens to lay eggs then we recommend buying chickens that are already grown and laying eggs rather than raising chicks. 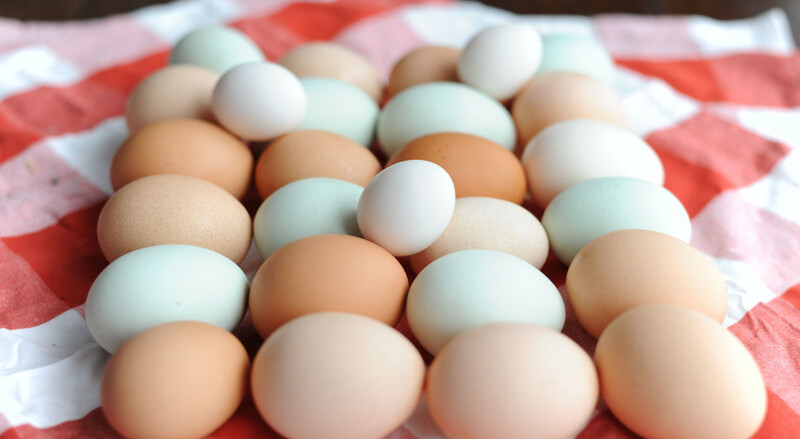 The benefits are that you get eggs from day one (unless they've already laid an egg that day), and the older chickens are more resilient than the chicks who are more susceptible to disease. Now this doesn't mean you need to go out and buy the most expensive coop you can find. Actually most coops you can just build yourself with minimal supplies. Like the pig pen made from wood pallets. And if your motivation for raising these chickens in the first place is to save money then you certainly don't need to buy a fancy coop. But if you're going to build or buy your own ​chicken coop you first need to decide how many chickens are going in this thing. Unfortunately there's not a hard and fast rule set for how many chickens per square feet you should make the pen, but you'll probably figure it out. Now before we get started on the specific breeds of chickens for egg production, we need to cover a few basics. First of all there are two sizes of hens, and which size you get should be determined by the size of your coop. There are Bantom hens and Standard sized hens. The bantam hens will be lighter than the standard size, and the size of the eggs will obviously be larger coming from the standard as opposed to the bantam. Another bonus of the standard sized hen is that they will be less flighty than a bantam, again thanks to their size. It's been said that Australorps are the Australian take on the Orpington breed. However, the Australorps are calm and friendly, and excellent layers of light brown eggs. Also the Australorp's have exceptionally soft, shiny black feathers, and shines with hints of green and purple in the right light. you're looking for a pet chicken that lays dependably, gets along with humans, and could be a meat bird if you wanted it to. Then this might be a bird for you. 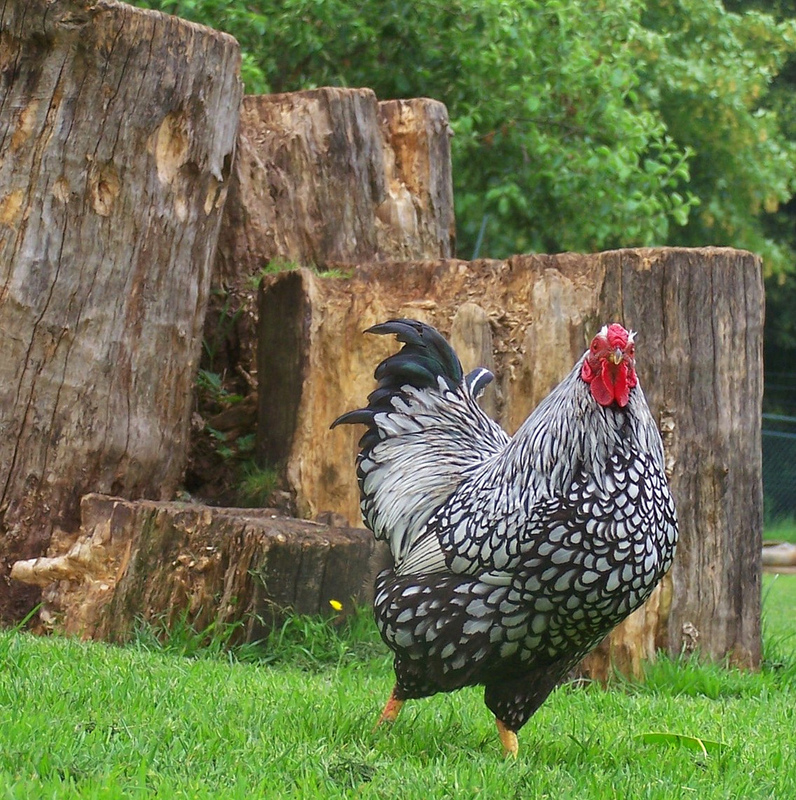 The Silver Laced Wyandottes were the true beginning of the Wyandotte breed of chickens, and a fantastic example of smart breeding. They are easy to look at and the most productive hens you could hope to raise. 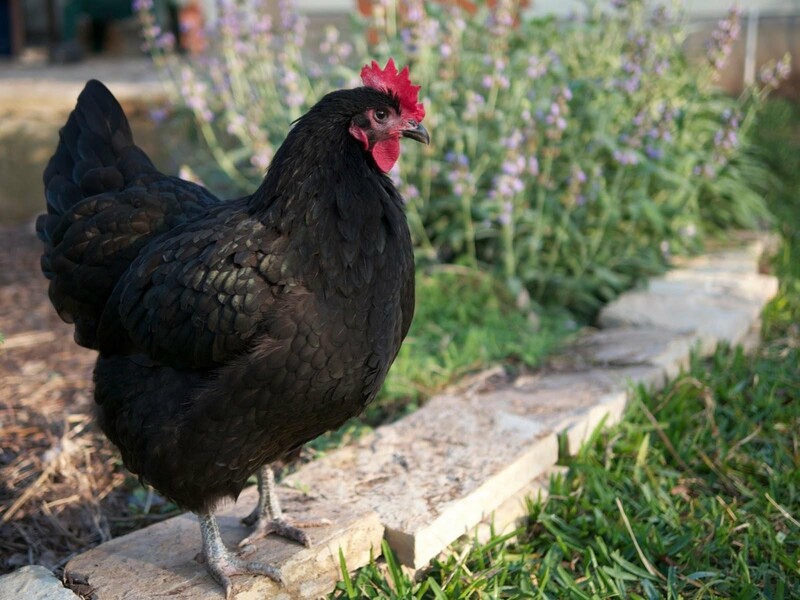 Wyandottes are a favorite for the average backyard flock person. Their seemingly clock-like egg laying, easy going nature and cold weather durability make them a fan favorite for the best egg laying chicken. All of their feathers are a metallic white with streaks of black running through them, similar to Silver Sebrights. The Wyandotte roosters have the same laced feathers, but their hackles and capes are composed of glimmering silver, like a suit of armor which might explain the royalty in their name and how they carry themselves. Wyandottes have a heavy body and small rose comb which makes this breed perfect for cold climates because they are not prone to frostbite. The hens are hardy, energetic and faithful layers.